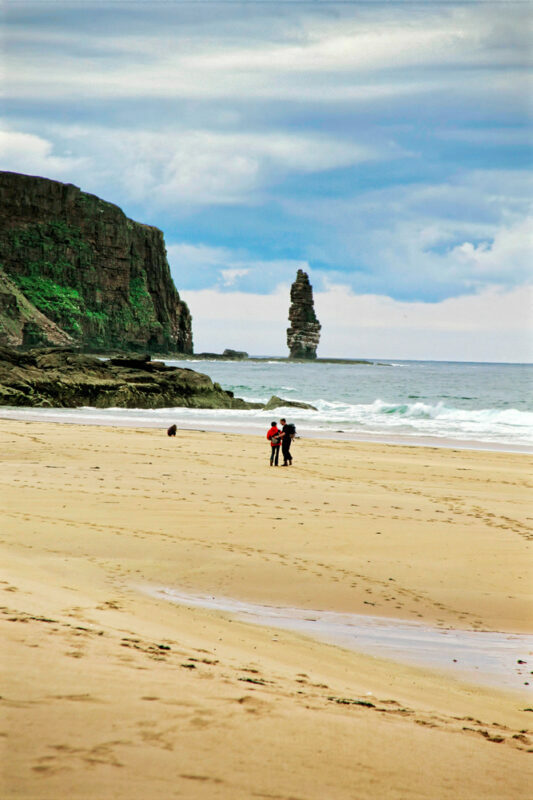 Walk 4 miles from Blairmore and you won’t be disappointed – Sandwood is a real gem and offers views over to the impressive sea stack of Am Buachaille. Look out for fulmars, puffins and shags on the sea cliffs. 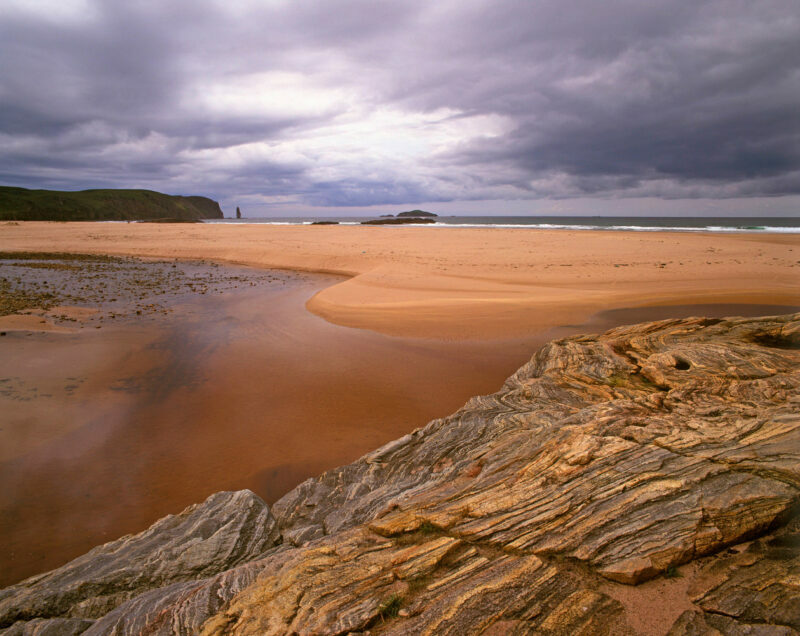 Some of the rocks found in the area are among the oldest in the world, and existed when the Highlands and North America were connected. 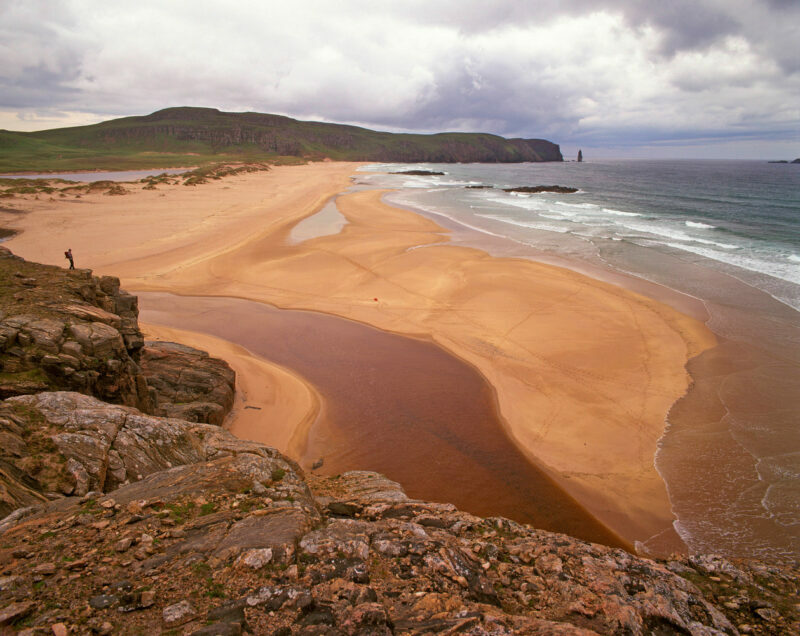 Continue south on the North Coast 500 and, between April and September, veer west to Tarbet if you wish to take the ferry to Handa Island, where nearly 100,000 birds nest on the sea cliffs.